Performance Management is about getting results, getting the best from people and helping them to achieve their potential. Employee engagement has an important role to play in this, it is about the emotional commitment to the organisation and its goals. 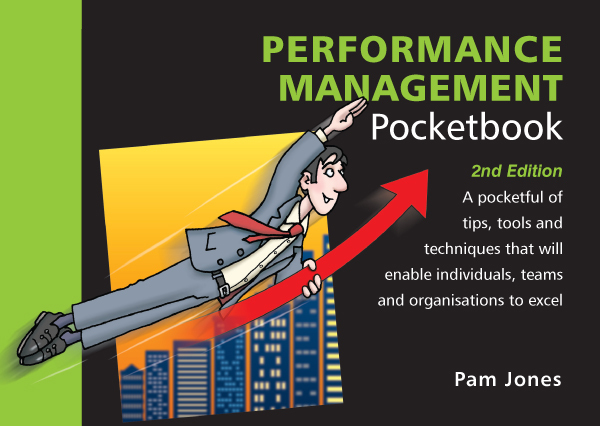 In this second edition of the Performance Management Pocketbook, readers will find plenty of tips and techniques to enhance their performance in the following areas: leading others to achieve results; understanding the impact of their own style; engaging and motivating others; creating high performance teams; setting clear objectives; managing performance difficulties and coaching and delegating effectively. The book contains illustrative case studies and each chapter has a helpful review and actions section. The author Pam Jones is a member of the Ashridge Business School open programme management team. Her responsibilities cover a suite of programmes encompassing performance management, influencing and general management skills. Claire Dobbs, Managing Director, Havas Life London.